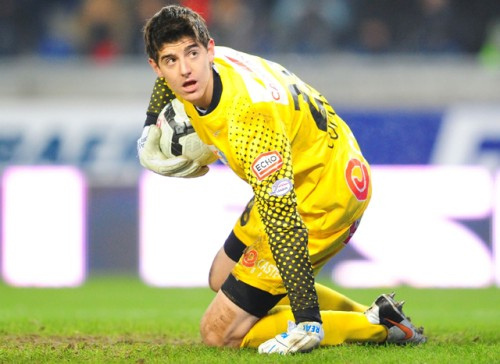 Chelsea will have to fight off interest from several European giants if they are to keep hold of Thibaut Courtois. The Blues are hoping to convince their stopper to put pen to paper on a new deal, with his representatives asking for in excess of £200,000 a week. Belgian publication Het Laaste Nieuws report that Juventus are the latest club monitoring the situation, joining Real Madrid, Paris Saint-Germain, and his former side Atletico Madrid in expressing an interest. The Bianconeri are on the hunt for Gianluigi Buffon’s replacement, with the legendary Italian set to retire at the end of the season. AC Milan’s Gianluigi Donnarumma has been touted as one alternative, but he signed a new deal earlier this year to keep him at the San Siro until 2021. Wojciech Szczesny has not yet been convincing, so the Serie A champions may well dip into the market come the summer. Courtois has been most heavily linked with Real as a successor to Keylor Navas, but they could find themselves in a bidding war if he opts to leave Stamford Bridge.